Walkable downtowns, hip restaurants, and plenty of living space. How 12 suburban towns are wooing the next generation of homebuyer, one millennial at a time. Coastal towns making waves for more than just ocean views. Sea breezes and (relatively) cheap home prices—what more can you ask for? This former summertime hideaway is now a lively year-round community complete with a bevy of affordable single-families, sparkling condos, and even a revamped waterfront promenade. While the bustle of 1950s Nantasket Beach is no longer, the town’s new Paragon Boardwalk is currently getting an infusion of hipster-tinged nostalgia. Husband-and-wife team Chris and Diana Reale purchased the rundown property in late 2017 and have since upgraded it with an arcade—featuring old-school games, naturally—as well as mini golf and grub from former Clio and Liquid Art House chef Douglas Rodrigues. Plus, commuting into Boston is as easy as hopping on the ferry. Landlubbers need not apply. A guaranteed parking spot at Singing Beach is one of the best perks of being a year-round Manchester-by-the-Sea dweller—when you finally manage to snag a place, that is. “If things are priced well in Manchester, they don’t last a minute,” says Julie Smith, an agent with Engel & Völkers by the Sea. “People are waiting to get into this town. It’s crazy.” And for good reason: The coastal life here is easy—and convenient. There’s a commuter-rail stop smack in the middle of a walkable downtown packed with shopping and dining options, plus long lists of community events. On summer nights, for example, beach bums of all ages spread out on blankets to watch movies or hear music in Masconomo Park, which overlooks the ocean. You don’t have to live on Beacon Hill to enjoy lovely boutique-lined streets. Walk out your front door and into your favorite stores in suburbia. 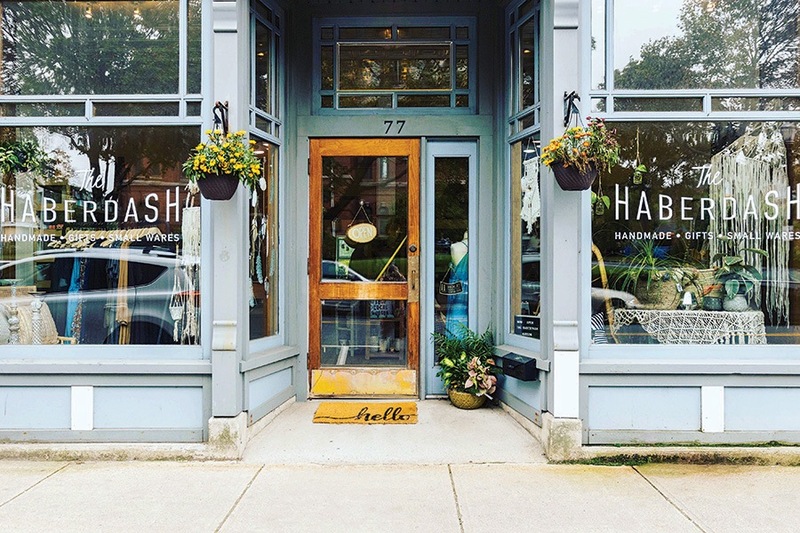 Everyone knows Concord is home to one of New England’s quaintest town centers, with indie shops aplenty dotting Main and Walden streets. But it’s only recently that the town upgraded its second pedestrian-friendly shopping area, the West Concord Village District, with boutiques such as the new Joy Street Life + Home and gathering places like Reasons to Be Cheerful, a cute scoop shop. Less than a five-minute walk away is the Wheelhouse, a coworking space in a former furniture mill that draws artists and entrepreneurs. “Our amenities have changed radically,” says broker Zur Attias, of the Attias Group. That explains the 18-percent jump in sales from 2017 to 2018. More time in the car means more charming spaces to stretch your legs outside of it. And in these newly hip exurbs, it means a lot more fun, too. “I think 50 percent of my buyers are actually coming from Boston,” says Muneeza Nasrullah, owner of Muneeza Realty Group with Keller Williams Realty. So why are urban refugees fleeing to Shrewsbury, just 39 miles west of the city? The establishment of Lakeway Commons, a gigantic mixed-use development at the former site of time-honored retailer Spag’s, for one. “It’s like urban living in the suburbs because you can walk to Whole Foods or Orangetheory Fitness,” Nasrullah says. That, plus Shrewsbury’s charming and walkable town center, complete with a newly renovated library; proximity to Worcester’s sizzling restaurant scene; and combination of millennial-friendly starter homes and higher-end properties for growing families. Back in the day, the carriage ride from Plymouth to Boston used to drag on for hours. So by comparison, today’s hourlong journey down Route 3 is quite a breeze. 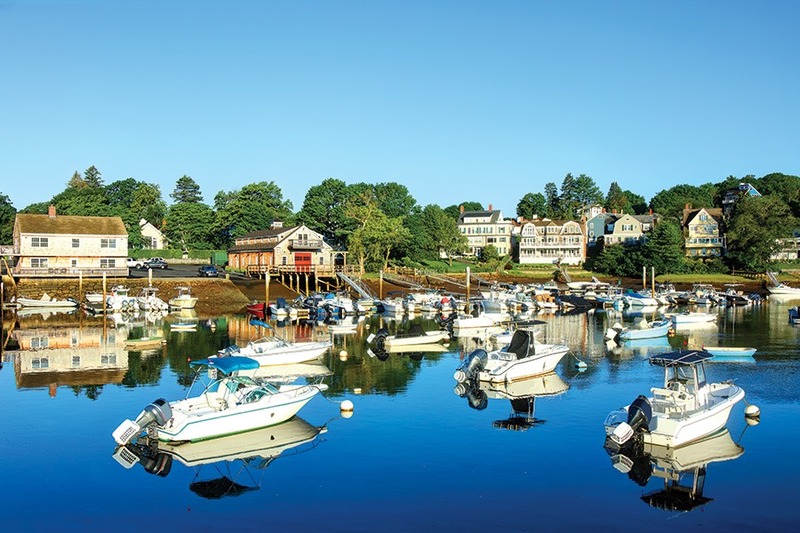 While Plymouth’s Colonial roots make it truly the original place to live, it’s the town’s newer developments that have brought it into the spotlight. The Pinehills, for example, bills itself as a “new take on the classic New England village”: The roughly 3,000-acre planned community consists of single-families and townhouses, with shops and restaurants surrounding its own traditional village green. Of course, Plymouth offers plenty of modern amenities, including a new winery and craft breweries. Those just starting out can scoop up small Cape-style homes in the $200,000 range—we’ll drink to that. 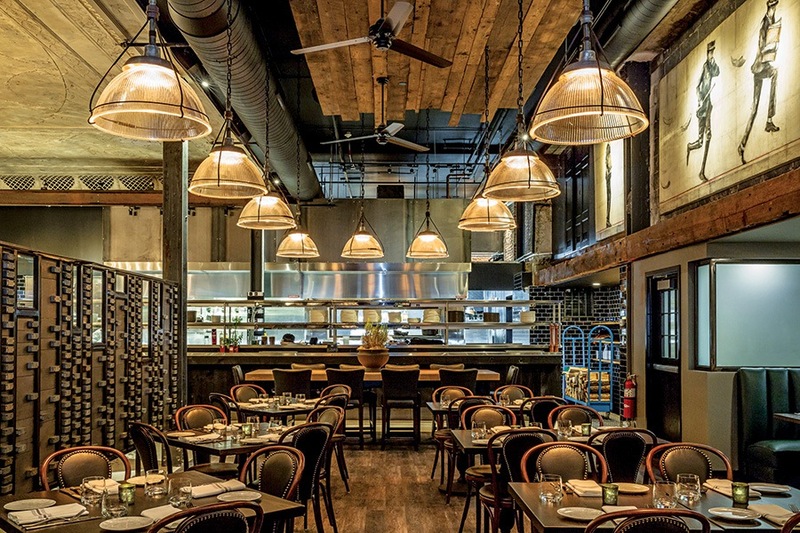 City-quality restaurants and easy-to-swallow house prices? Welcome home, young epicures. Ravenous after a long day at the office? Nothing beats coming home to a town anchored by “Restaurant Row.” Waltham’s Moody Street offers the best part of Boston without the hassle, featuring top-notch eateries such as Red Bird, Moody’s Delicatessen & Provisions, and dozens of other spots. Nearby, new apartment complexes like the Merc at Moody & Main make it so residents “don’t even have to pull their car out of the driveway” to tuck into charcuterie boards, says Hans Brings, a real estate agent with Coldwell Banker. Don’t want to own a gas guzzler? Not a problem—the town has one commuter-rail stop with another just over the border in Belmont, a convenience that’s likely to draw more millennials than ever to Watch City. It’s a delicious time to be a homeowner in Salem, where some of the area’s top restaurateurs are inching north to meet the demands of the hungry historical town. Take chef Matt O’Neil, owner of the award-winning Blue Ox in Lynn. He recently opened Ledger to much acclaim, serving up New England cuisine inside a former bank. Then there’s Tim Haigh and Larry Leibowitz, the homegrown two-person restaurant group behind beloved wood-fired-pizza shop Bambolina and, more recently, noodle bar Kokeshi. In the mood for cocktails with a view? Just saunter over to the Roof at the Hotel Salem. What’s more, locals can dine out often without pinching pennies, considering the town’s housing stock is surprisingly affordable: Eagle-eyed house hunters will notice single-families hitting the market for under $400,000. They’re close enough to the city that you can bike in, but cool enough that you may never want to leave. 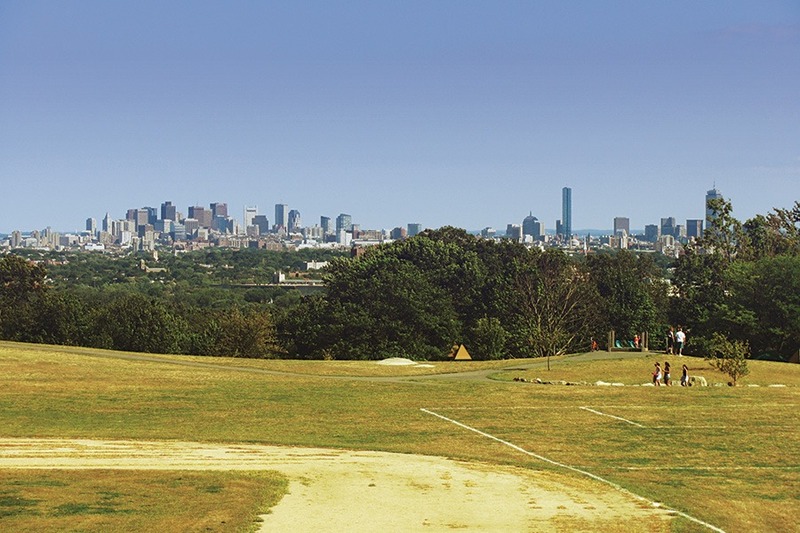 Okay, we’ll say it: Arlington is the new Somerville (which, of course, was the new Cambridge). No longer a sleepy suburb, this town gets trendier by the day, attracting artists to its eastern reaches and UppaBaby strollers to the west. A gradual relaxation of Arlington’s Puritanical liquor laws has allowed bars like Common Ground to elbow their way in, while indie maker shop and commissary kitchen the Local Fare hosts innovative food startups that couldn’t possibly afford exorbitant city rents. When it does come time to head into Boston, commuting is as easy as cruising down Arlington’s revamped bike lanes, then hopping on the Minuteman Bikeway all the way to Alewife to catch the T downtown. While it’s not exactly a secret that Brookline’s tree-lined streets are the place to be, the town is now drawing an even younger, hipper crowd eager to shed some of urban life, but not all of it. Case in point? Allium Market and Café, a newly opened specialty food emporium in Coolidge Corner that serves up a mean avocado toast (we did say millennials, didn’t we?). It’s just around the corner from rows of stately Victorians fetching more than $3 million and $700,000 condos in historical brownstones—not to mention top-notch public schools. “It’s a perfect blend of city and suburban lifestyles,” says Diana Kuang, of Coldwell Banker Residential Brokerage—and one that’s only a 15-minute T ride from Coolidge Corner into Boston, to boot. Parties, events, clubs—finding your crew is easy when you live here. It’s tough not bumping into your neighbors in this sizable MetroWest suburb with a surprisingly close-knit community. Just ask the folks who pack into the Center for the Arts in Natick to catch concerts, open-mike nights, and films both new and old. On any given weekend, residents select the freshest fruits and veggies at the town’s farmers’ market, say “om” in the woods with PeaksandPoses Trail Yoga, and devour a hot dog (or three) at the 129-year-old establishment Casey’s Diner. While century-old restaurants—and houses—are the norm here, there are also plenty of new-construction abodes for sale: Converted churches have even been known to hit the market every once in a while. 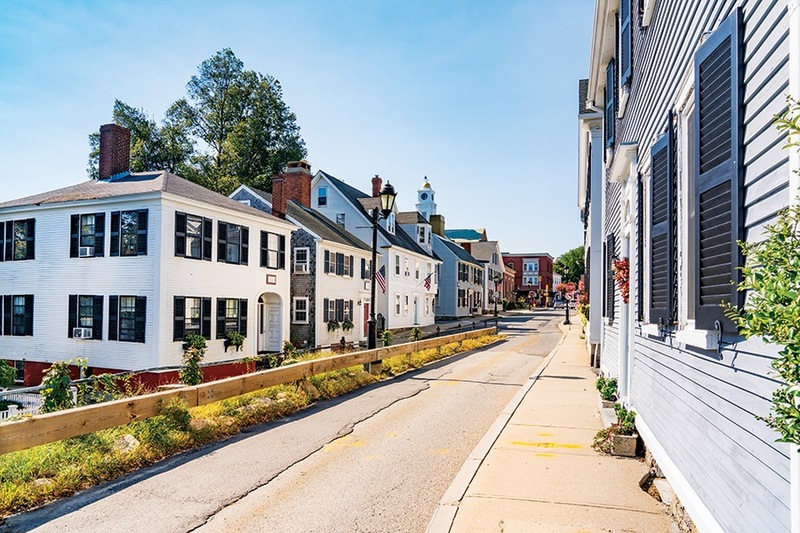 “Every piece of land that can be built on in Newburyport is being built on,” says William Raveis agent Susan Grillo—see: condos being carved out of antique captain’s homes and brand-new houses springing up on small plots. The kicker? They’re all just steps from downtown. 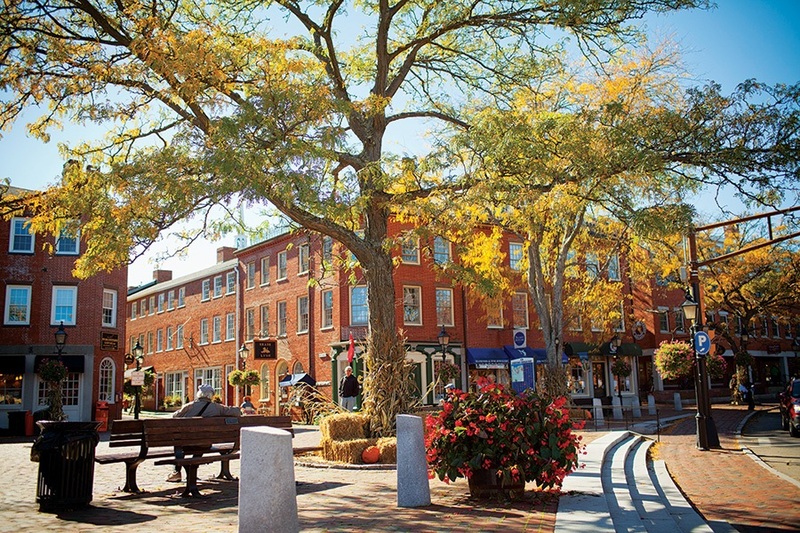 In addition to the shops and restaurants bordering the Merrimack, Newburyport is packed with social clubs. Artists and art lovers flock to the Newburyport Art Association, birdwatchers convene at Mass Audubon’s Joppa Flats Education Center, and every spring, a music festival called Plumfest hosts local bands and musicians on porches across Plum Island. “There’s something for everyone, depending on what you’re interested in,” Grillo says.